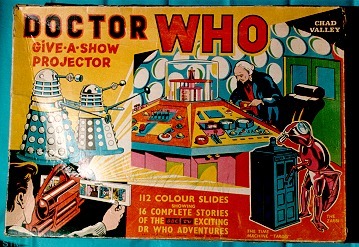 Give-A-Show Projector : The Doctor meets the Zarbi, Menoptra, Daleks and more. 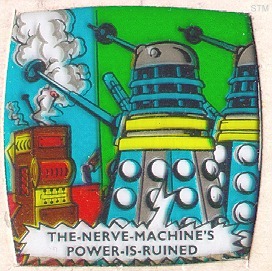 The slides contain cartoon-style artwork like the box cover. (Here's a single slide view.) Here's a view of the contents. 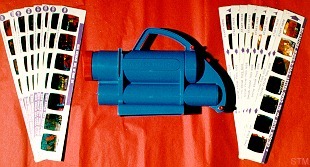 Viewmaster Reels : Episodes "Full Circle" and "Castrovalva" made in 1980 by GAF.